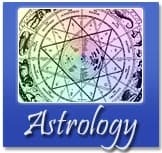 Horary Astrology is a branch of Astrology that answers very specific questions the moment a question is asked. One's birth chart is not needed.. This time of the year everybody inquires about upcoming relationships, career and financial potentials for the year. What about the major planetary aspects and events taking place in the year? Mars is located between Venus and Jupiter. It rules the will force, physical energy, efforts, impulse, courage, driving force towards a goal, assertion, and one's sexual libido. As the Moon orbits around the Earth, it travels through the zodiacal belt consisting of 12 zodiac signs. Every month it will be in each zodiacal sign for approximately 60 hours (2.5 days). Mars has finally gone direct on Friday, April 13th after being in retrograde motion for over 10 weeks. Thank heavens! Projects that have been staggering should either improve or require a major renovation. The 12 zodiac signs have different qualities. Certain groups of signs share similar qualities. The two most popular methods for sign grouping are elements and modalities.. Aspects are an important part of modern astrology. As the planets move in their elongated orbits around the Sun, they form various angular relationships with one another, using the Sun (or Earth) as the center. These are called aspects. The Sun and Moon (or lights, as they are called) are the two most important bodies. It is sometimes easier to understand what they represent in astrology if we consider how they interrelate with the Earth. Astrology articles,including free horoscope, detailing Venus retrograde, Mars retrograde, void moon, astrology symbols and everything you've always wanted to know about astrology.